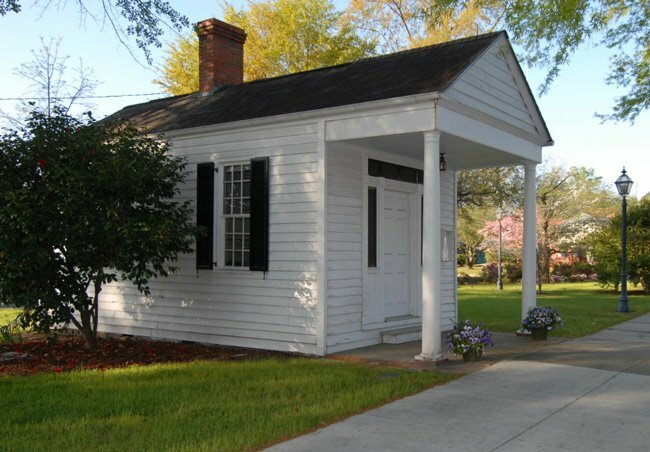 This quaint Greek Revival building on Town Green in Cheraw was built sometime between 1810 and 1830 for law partners John A. Inglis and Henry McIver. According to Cheraw Director of Tourism and Community Development David Sides, McIver was chairman of the committee that drew up the Ordinance of Secession. Chesterfield County was the first in the state to call for secession, and on December 20, 1860, South Carolina seceded from the Union. A marker on the grounds of the old Chesterfield County Courthouse commemorates the first secession meeting. The Inglis-McIver Law Office was moved from its original location on Front Street in 1948 by the Civic League Garden Club. Around 1736 Welsh Baptists came to South Carolina and settled in the Pee Dee region. In 1766 Eli Kershaw, who had been given a grant of land along the Pee Dee River, laid out the town of Cheraw. It was incorporated in 1820. 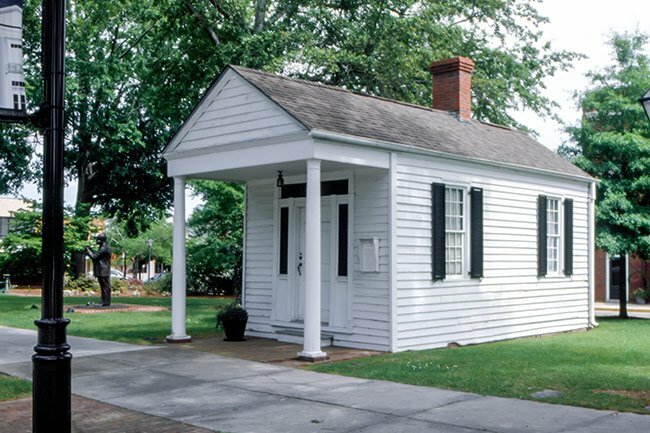 Located at a key navigational point, Cheraw began to develop as a commercial center of interior South Carolina; however, the Civil War and Reconstruction temporarily halted this progress. For a time development was impeded and rebuilding was delayed. Although the town eventually prospered, much of its physical character remained unaltered. The town of Cheraw also played an important role in South Carolina military history. During both the American Revolution and the Civil War, British and Union troops used St. David’s Episcopal Church as a hospital. The meeting house style church still stands today. Additionally in 1825, Revolutionary War figure Marquis de Lafayette stayed in Cheraw during his tour of the United States. Located within the district are a variety of architectural styles that include the early frame homes of the 1800s (often called upcountry farmhouses, or essentially I-House in type), antebellum structures with Classical Revival details and Greek Revival porticos, and Victorian houses from the turn of the century. The district also includes several churches, a cemetery, and the towns’ original boundary markers dating from 1766.